Published: May 4, 2009 at 08:22 p.m.
NFL.com analyst Bucky Brooks is handing out grades for each team following the 2009 NFL Draft. Check back daily as he breaks down each team, division by division. After watching the draft come and go, it is time to assess how each team fared in the league's biggest event. From the acquisition of talent to the execution of various draft strategies, teams were graded on their overall ability to play the chess game that emerges on draft weekend. Few teams can match the draft wizardry displayed by the Ravens since general manager Ozzie Newsome has been at the helm. In the 13 years that he has been making picks for the franchise, the Ravens have drafted 10 Pro Bowl players and signed undrafted free agent Bart Scott, who eventually earned Pro Bowl honors. Using a steadfast philosophy of taking the best available player regardless of position, the team has successfully plucked All Pro-caliber talent in all rounds. This year, the personnel guru appeared to be up to his old tricks again with savvy maneuvers on draft day. The team not only hit on great talent, but added quality depth to a roster that has been depleted since the end of last season. In the first round, the Ravens made an aggressive move to select Michael Oher with the No. 23 overall pick. The team sent the Patriots two selections (No. 26 and No. 162) to move up three spots, but landed a tackle who few expected to be on the board at that point. Even though the team doesn't have a glaring need at offensive tackle, the decision to nab a highly-ranked player at a prominent position should pay dividends in the future. In addition to getting Oher in the opening round, the Ravens added a pair of players who ideally fit their team's rough and rugged personality. Paul Kruger and Lardarius Webb are not only versatile and skilled, but they are high-motor guys who play with an attitude. On a defense that specializes in intimidation, their menacing demeanor will come in handy. The Ravens have been extremely successful in finding starters in the latter rounds, and they may have found a hidden gem in Jason Phillips. The former TCU standout may lack outstanding athleticism, but his instincts, awareness and production are off the charts. Phillips will not only shine on special teams, but will push for time as a reserve. The only area the Ravens didn't address was their need for a big-play receiver. Joe Flacco will be forced to rely on the venerable Derrick Mason as his top target for another season. The Ravens finished the season one game short of making the Super Bowl, but with a roster that is built for the long haul, the team may get a few more shots. After watching the Bengals fall on hard times since capturing the AFC North title in 2005, Marvin Lewis is returning to the previous draft strategy that led the team out of the doldrums. By utilizing a high-risk, high-reward strategy on talented but troubled players, Lewis assembled a roster capable of competing with the league's elite by his third season at the helm. Although the team suffered from a series of off-field incidents that eventually impacted their performance on the field, the accumulation of gifted but troubled players rejuvenated the downtrodden franchise. Looking to recapture the winning ways, Lewis and the Bengals took a few gambles in this year's draft that could result in big returns on the field. First-round selection Andre Smith was widely viewed as the draft's top offensive tackle until a series of bizarre incidents raised red flags about his character. 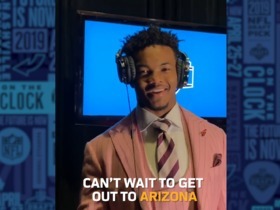 However, the team was convinced that Smith's missteps were atypical of his normal behavior, and opted to gamble on the Alabama standout with the sixth overall pick. If Smith plays to his potential without incident, the Bengals have secured a Pro Bowl talent. In the second round, the Bengals landed the draft's top middle linebacker, Rey Maualuga. The USC star carried a first-round grade on most draft boards, but unexpectedly slid after several teams (Chargers, Lions and Rams) with glaring holes at the position passed on the former Trojan. Thus, the Bengals were able to land a top-15 talent in the second round. The Bengals didn't stop rolling the dice in the third round with the selection of Michael Johnson. Though the former Yellow Jacket didn't have character concerns, he fell on draft boards due to questions about his motor and work ethic. In spite of those questions, Johnson is an intriguing pass rusher with a rare combination of size and athleticism. With those traits hard to uncover in any round, the Bengals were wise to gamble on Johnson, who has first-round talent. The rest of the class appears solid, but the one prospect to watch is tight end Chase Coffman. The former Missouri star possesses some of the best hands in the draft, and could blossom into a quality H-back in Cincinnati's multi-dimensional attack. The Bengals deserve credit for nabbing a group rich in talent, but the decision to pin their hopes on so many character risks could also blow up in their face. Eric Mangini entered the draft hoping to overhaul an underachieving roster in Cleveland. However, the task seemed insurmountable with only five draft picks at his disposal. But the coach formerly known as the "Man-Genius" flipped the script by aggressively trading down at a feverish pace to compile additional selections. In a move that sent shockwaves throughout the draft, the Browns traded the No. 5 selection to the Jets for the 17th and 52nd selections along with three veteran players (Kenyon Coleman, Brett Ratliff and Abram Elam). Though the move prevented the team from picking a potential starter in B.J. Raji, Brian Orakpo or Michael Crabtree, it gave the Browns more ammunition to wheel and deal at latter stages of the draft, while adding more players familiar with the team's new culture. The Browns made a succession of trades to move back in the first round and eventually net center Alex Mack at No. 21 and two additional sixth-round picks, which were used to acquire running back James Davis and cornerback Coye Francies. Mack, a highly touted interior blocker with the ability to play center or guard, fortifies a position of weakness for the Browns. Though he went a little higher than most scouts expected, Mack is likely a first-year starter capable of contributing for years to come. In the second round, the Browns took advantage of their rash of selections, including one acquired in Kellen Winslow deal, to select two big-play receivers (Brian Robiskie and Mohamed Massaquoi) to augment their passing game, and a hybrid defender (David Veikune) with pass rush skills. With little competition at those positions, each second-round pick should vie for playing time immediately. The Browns aggressively played the trading game, but time will tell if all of the activity results in a better roster than the one the new regime was quick to disassemble. The defending world champions had the luxury of approaching the draft under the guise of adding quality players regardless of position. Though the team had some deficiencies in some areas, none of their issues were big enough to need an aggressive move up the board to grab a coveted prospect at a certain position. Thus, the Steelers simply took the best players that fit their profile and scheme. Evander Hood, the team's first-round pick, isn't a classic 3-4 defensive end, but he is an athletic interior player with an outstanding motor. His blue-collar personality fits the team, and his game will add some juice to their defensive line rotation. The team's three third-round selections are also examples of the Steelers taking players that fit within their scheme. Offensive tackle Kraig Urbik, selected with the 79th pick, gives Pittsburgh another road grader for its line. As a mauler with good strength and power, Urbik excels in a downhill-blocking scheme, and should be a nice complement to their rotation. Mike Wallace replaces departed free agent Nate Washington as the team's deep threat in the passing game. The former Mississippi standout ranks as one of the fastest players in the draft, and gives the team a true vertical playmaker in their three- and four-receiver sets. The Steelers' final third-round pick was used on Oregon State cornerback Keenan Lewis. He's a competitive, hard-nosed player with the requisite toughness and cover skills to shine in the team's zone-blitz scheme. Lewis will push for playing time as a nickel or dime defender in the Steelers' sub-package. Of the team's remaining draft picks, center A.Q. Shipley and running back Frank Summers stand out as the ones to watch. Shipley is a gritty pivot with solid overall skills. Though he lacks prototypical size for the position, he is an overachiever capable of playing beyond his draft status. Summers gives the team a versatile option with the potential to excel at tailback or fullback in the team's scheme. In addition, he should emerge as a key contributor on the team's kicking units. The Steelers' draft class doesn't stand out on paper, but it is littered with a host of players who will make their contributions initially on special teams.